I've been making a lot of cocktails lately. They're fun. And tasty. 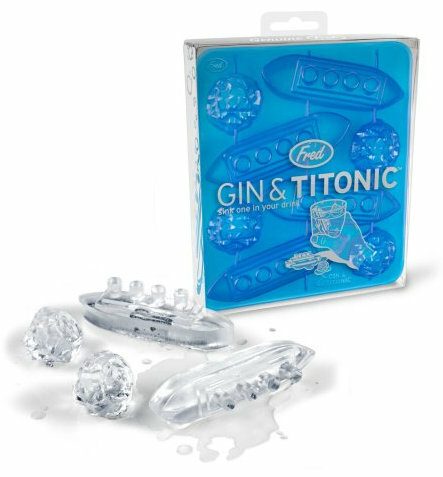 But I also like whimsical things if they're easy to manage, so I was really excited to try the Gin and Titonic ice molds from Fred and Friends. One mold makes four ships and four icebergs - perfect for crashing into four cocktails. I have to say that these are fun, even if you're not making a gin and tonic. Everyone would get the joke about a ship and an iceberg, even if they don't know the pun. I have to say, though, that they looked a heck of a lot better in person than they did when I tried to photograph them. I needed a fairly clear liquid so you could see the ice - but then the ice sort of disappeared from the photos. I solved the problem by adding some B'lure bitters to the molds to add some color to the ice, and then I made a drink with a bit of acid, so the liquid would turn pink as the ice melted. For more about B'lure bitters, see this post. Coloring the ice made them more visible for my photos, but in person, you could use plain ice cubes. When someone's drinking it, they'll see the shape of the ice, even if the mixer is cloudy or the drink is made with cola or another dark mixer. And of course (duh) you don't need to freeze plain water or use a coloring - fruit juice like cranberry (or whatever matches your drink) would be very appropriate in a cocktail. One huge tip for serving the best-looking ships and icebergs is to create the drink with liquid that's as cold as possible to keep the ice from melting. That way, people will see the details. 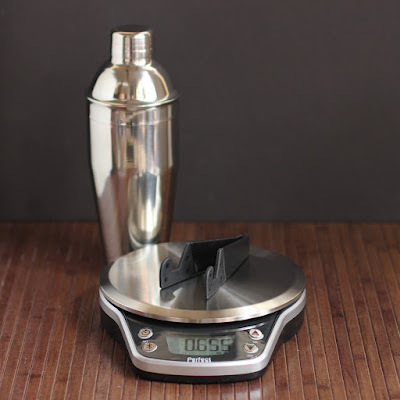 Obviously, keeping your ingredients refrigerated will help, but there's one more thing you can do to make sure the drink is really cold - put the cocktail ingredients (not including carbonated mixers) in a shaker with ice, then shake and strain the liquid into your serving glass. Then add the fun ice and you'll have a colder beverage to start with. As far as those carbonated mixers, just make sure they're well-refrigerated before you add them to your cocktail. I have to say that there are definitely fun for cocktails, and maybe best for a gin and tonic, but they'd also be fun for kids - use a bunch of different fruit juices to make different-colored ships to make it really fun. While I haven't tried it, it might be possible to make those super-dense Jello treats in these, too. 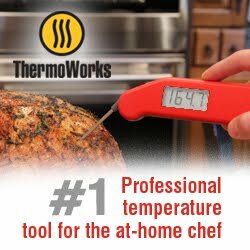 I'm not sure how easy they'd be to unmold, but it would be worth trying if you already had this for drinks and you have kids. Who's it for: People who like fun ice cubes. Pros: They're just plain fun. Not something you absolutely need, but very fun floating in a glass. Cons: Maybe sure you've got a a flat place for the ice tray in your freezer so you don't end up with lopsided ships. Then again, they're capsizing anyway, so it might not matter all that much. Wishes: I think I'd like more icebergs per drink.